NGC 7023 is a reflection nebula located in the west central section of the far northern constellation of Cepheus. The nebula contains at its centre an extremely young star named V380 Cep (mag. +7.1) which is believed to have burst into life just 5,500 years ago. 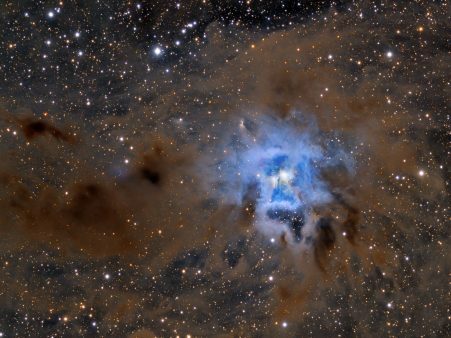 Since still incredibly young there is plenty of local dust surrounding the star and when starlight hits the dust it’s reflected to become the visible nebula. NGC 7023 is located 6 degrees northwest of the brightest star in Cepheus, Alderamin (α Cep – mag. +2.5) with third magnitude Alfirk (β Cep) positioned about 3.5 degrees to the northeast. Only a degree east-northeast of NGC 7023 is Mira type variable star T Cep, which fluctuates between magnitudes +5.2 and +11.3 over a period of 388.14 days. A faint eleventh magnitude barred-spiral galaxy, NGC 6951, is positioned two degrees southwest of NGC 7023. 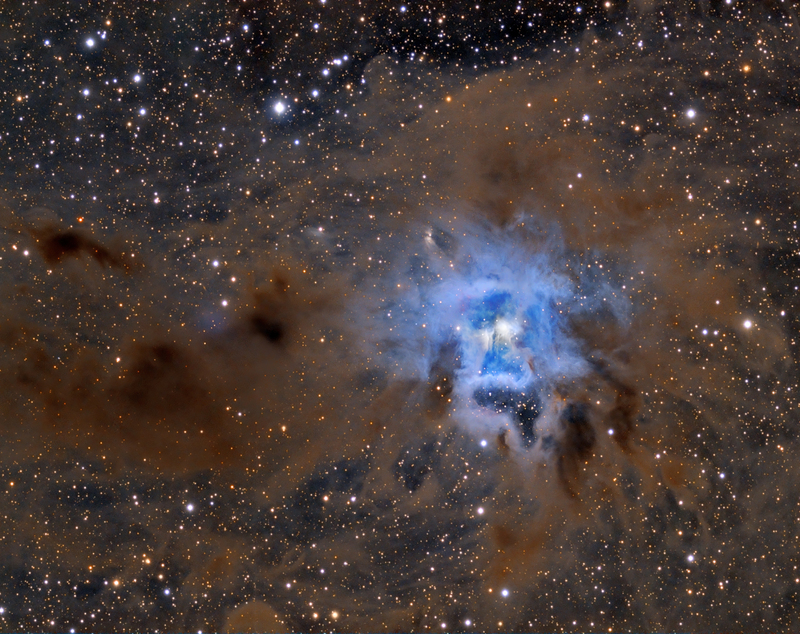 The nebula is also known as the Iris Nebula and is number 4 in the Caldwell catalogue. It was discovered by Sir William Herschel on October 18, 1794.